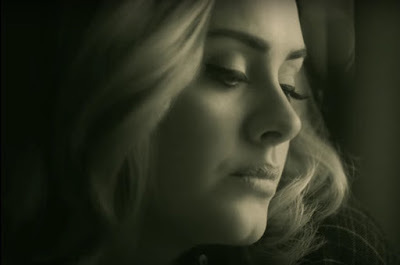 Adele’s smash hit “Hello” has topped the US charts for a third straight week. Billboard reports the song sold another 480,000 copies to hold on to No. 1 on the Billboard Hot 100, Digital Songs, Streaming Songs and On-Demand Songs charts. “Hello” is just the fourth song to earn three straight weeks of more than 400,000 in digital sales, following Pharrell Williams' "Happy" (2014), Robin Thicke's "Blurred Lines" featuring Williams and T.I. (2013), and Gotye's "Somebody That I Used to Know," featuring Kimbra (2012). "Hello" is the lead single from Adele’s long-awaited third album, “25”, which was produced by Greg Kurstin and is due November 20. The UK singer’s last record, 2011’s “21”, was a worldwide smash with worldwide sales of more than 30 million copies. Adele will launch the album with a BBC 1 TV special on November 20 and a performance on NBC-TV’s Saturday Night Live on November 21.